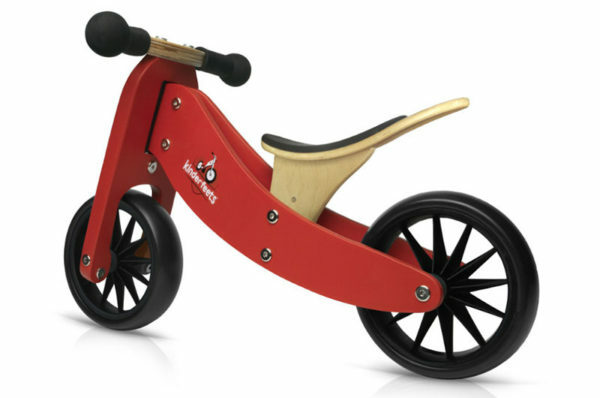 Kinderfeets Tiny Tots 2 in 1 balance bike and trike for wheely good fun! Two for the price of one, the Kinderfeets Tiny Tots 2 in 1 Balance Bike is not only great bang for your buck, it’s also the perfect solution for tiny tots wanting to get in on some wheely awesome fun! 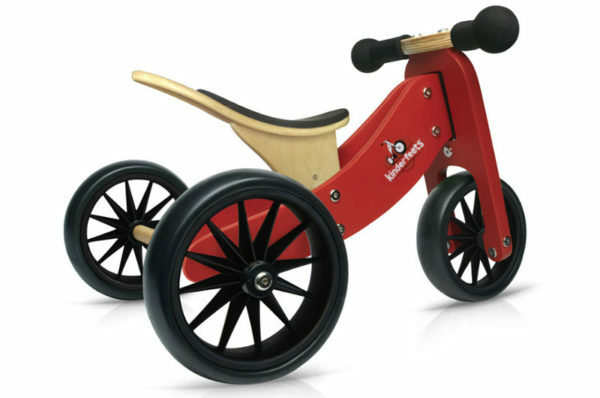 Designed for the children aged under two, Kinderfeets Tiny Tots 2 in 1 Balance Bike‘s low step frame makes it easy for children as young as a year old gain confidence in using their legs and feet to scoot around on a tricycle. When kids have mastered the tricycle riding and they’re looking for a slightly more challenging ride, it’s time to let go of the third wheel! 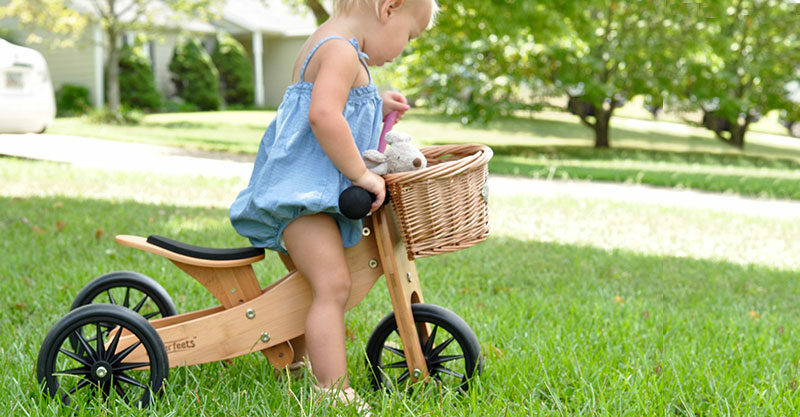 The Tiny Tot 2 in 1 Balance Bike easily morphs from trike to bike, unleashing all the fun of walking, striding and finally coasting with legs up for some faster fun! Want to add some snazziness to your ride? Kinderfeets Wicker Basket ($29.95) or Carry Crate ($29.95) are perfect for carrying treasures, snacks and drinks. Available in several colours, Kinderfeets Tiny Tots 2 in 1 Balance Bike is priced $134.95 to $144.95 and available at Lime Tree Kids.